Writing is a form of art and whether you plan to simply put down your thoughts on paper, communicate with colleagues via email or write a best-selling novel, your chances of being understood by your audience as well as even understanding yourself depend largely on learning this art. And, unlike drawing, painting or sculpting, one does not really need to have an innate skill to get good in English grammar and writing — practice makes perfect. Learning English grammar and using it when writing is an admirable endeavor. Further paragraphs will contain excellent books that will help you grow in this direction. These books will be arranged in different categories for beginners, intermediaries, and experts looking to complement their English grammar. Hopefully, this categorization will help you properly structure your progression. If you already have a good English grammar you may like to refer some good books to become a writer. If you prefer learning online you can easily learn English grammar with this wonderful handbook on AcademicHelp.net. However, on this page, we have also compiled a list of books that you can buy and read conveniently anywhere. As the name suggests, Susan Thurman’s guide to English grammar is a comprehensive manual of learning the basics of English and acquire the knowledge needed to put your thoughts into writing in a clear concise manner. It provides the guidelines needed to understand the parts of speech and elements that make up valid sentences, learn and master the tricks to accurate punctuations and approaching writing projects with confidence. The Only Grammar Book You’ll Ever Need costs approximately $10 and it will help anyone wishing to build a solid foundation in English grammar. Most of us may already know the brand McGraw-Hill Education due to its respectable standing in providing educational textbooks and other resources for students. The reputation also extends to its beginner’s guide to English grammar. A comprehensive list of instructions for understanding and making use of English in both formal and informal settings. The McGraw-Hill Handbook of English Grammar and Usage covers the use of punctuation, understanding incorrect and correct grammatical categories and easy-to-remember study tips for students. This learning resource written by Mark Lester and Larry Beason opens a doorway into the world of English. is a handy workbook written by Jane Straus to clarify English grammar misconceptions and the use of punctuation, semantics and word choice when constructing sentences. This classic, hailed for its clarity and simplicity, learning resource for students will accompany you through the hardships of English language. The simplicity makes it one of those English tutorials the average student can process on their own. this book puts emphasis on using the power of repetition to send its simple message on the proper use of punctuation, words and basic grammar when communicating. What Betty Azar's text does well is ensuring that its readers learn and practice regularly in order to permanently memorize all the essentials. One of the major purposes in becoming good at the English language is to ensure that students become confident in their abilities to draft written content. Books listed in the intermediate category focus on teaching students to put their grammar lessons into writing properly as well as facing global lingual competence tests like IELTS, SATs etc. Many students like to cut down on college books by using alternate online resources but the ones listed below would really prove valuable to you. Murphy, as it’s fondly named, is one of those handy books on the use of English that can be found in almost every classroom across the globe. 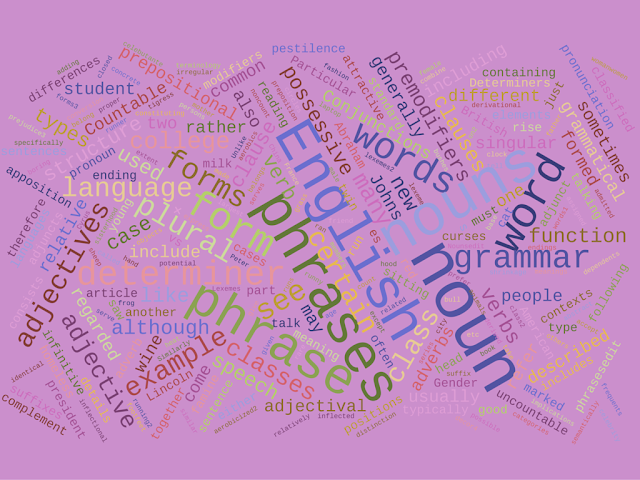 Its author, Raymond Murphy, employs the use of clear explanations and logic to breakdown some of the complex rules associated with learning English grammar. Logical exercises which get students to really apply their thinking faculties, round up every chapter of this book. Cambridge University is renowned for a lot of achievements and developing the test structure for the IELTS is one of them. Therefore, it definitely makes sense for someone taking the IELTS to read a copy of the official Cambridge English grammar book when learning the language. Grammar for IELTS consists of lessons on the use of English, and helpful exercises, designed to test the understanding of the learners. It is a great resource for anyone planning to take English exams. This textbook is about learning the nuances of English grammar. It consists of practical examples and exercises readers can take on in order to build their understanding of the English language. This text, combined with Collins Cobuild's Elementary English Grammar book series, provides both beginners and intermediate students with a comprehensive body of work to learn from. Developing a compelling story or article requires an in-depth understanding of how style, structure, and substance should be used in conjunction with tenets of the English language. The books outlined in the following paragraphs were written to help their readers develop their grammatically accurate writing craft. A great and comprehensive guide to English writing. It is aimed at advanced English users and will give you a great deal of useful knowledge. A. Lamott gives a lot of personal accounts from her life that provide some good insights on life events as well as how to walk in writer’s shoes on your own. if there ever was a perfect set of guidelines for academics to follow when writing research papers, theses and dissertations, this book would be it. Kate L Turabain's guidelines which have seen multiple editions over time comprise 3 sections. They teach how to research, different citation styles and detailed guidelines in all manners of editorial style. Rounding up the list there is another legendary guide book to the heights of English writing by the famous duo Strunk and White. The book paves the way to understanding the concept of writing style and unique charm a well told story brings. It was written as a daily guide to anyone who writes for a living. It's clear, precise and short length makes this one the best resource out there for mastering the elements of style. The books on this list were all chosen due to their capacity to break down complex matters into elements everyone can easily understand. Hopefully, you will find something on this list worth reading. December 2016 : Updated article with latest books and references. Updated links.